A skyscraper in Madrid that houses the British, Dutch, Australian and Canadian embassies was evacuated on Tuesday midday over a bomb threat, Spanish police have said. 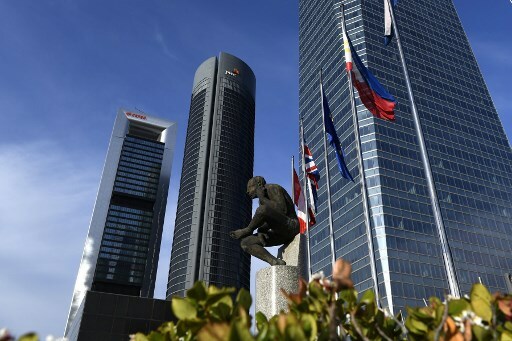 Spanish National Police have evacuated Madrid skyscraper Torre Espacio, one of the four iconic towers along the Spanish capital’s Paseo de la Castellana avenue, following an alleged bomb threat at the Australian Embassy. TEDAX bomb disposal officers are currently using sniffer dogs and following protocol. "We urge any person inside the building or in the vicinity to follow the instructions given out by security personnel", Madrid Municipal Police said on social media. Traffic has been diverted and pedestrian access cut off along the emblematic upmarket avenue of La Castellana, as it is commonly known. With a height of 235 metres (770 feet), the 57-storey Torre Espacio building is one of four skyscrapers that makes up a business park in northern Madrid (pictured in the below photo on the far-right hand side.